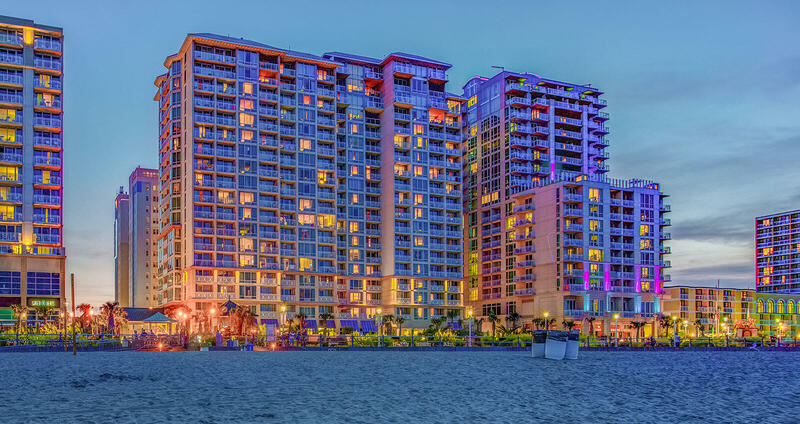 Oceanaire Resort Hotel – A Diamond Resort, debuted in May 2012 as a $60 million property built from the ground up by Gold Key | PHR Resorts. Within a year of operation, the hotel had won its first award, the “Project of Excellence” at the 2013 American Resort Development Association World Convention, which is presented to a new resort for excellence in architecture and amenities and also for its benefits to the local community. The hotel was sold, along with its four sister properties in Virginia Beach and Kitty Hawk, NC, to Diamond Resorts in October 2015. With its location on the north end of the Virginia Beach Boardwalk and amenities that range from a chic adults-only indoor pool to the cool, Rat Pack Era-inspired Ultra Craft Cocktails Lounge, the resort is a favorite of couples and adult groups seeking a relaxing getaway from the more bustling family friendly hotels in Virginia Beach. The hotel’s convenience to attractions like the King Neptune Statue and the Free Summer Concert Series at Neptune’s Park makes us ideal for those who want to soak up the full Virginia Beach experience.